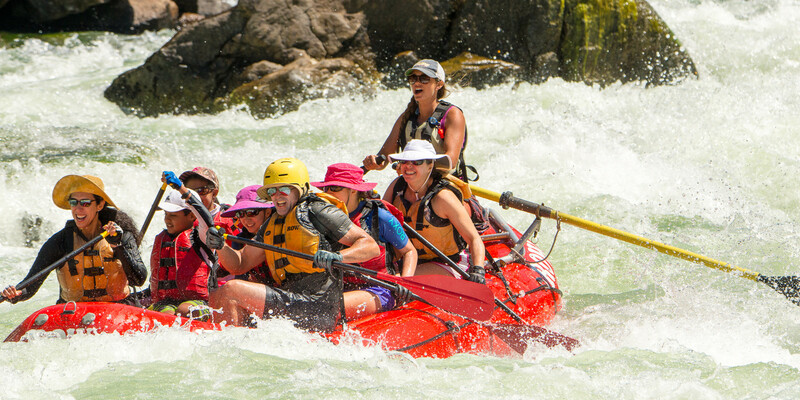 Experience some of Peru’s most inspiring destinations on this artfully-created Signature Tour from ROW Adventures. Go cycling through the spectacular landscapes of the Sacred Valley to the salt mines of Maras and hike to the archaeological site of Wiñay Wayna, then be awe-struck by the breathtaking setting of UNESCO World Heritage-listed Machu Picchu. Spend time exploring the charming streets of Cusco where Spanish colonial buildings perch atop ancient Inca ruins, then journey to the tranquil waters of Lake Titicaca to explore its indigenous villages and Inca sites by kayak. Our Peru Unbound Signature Tour is led by hand-selected guides who are committed to providing authentic and immersive experiences while freely sharing their unique insights of Peru’s cultures, history and cuisine. As you consider your adventure tour options of Peru, we urge you to choose an experience that is meaningful and authentic. Rest assured that you’ll be in good hands with us, chosen by Travel + Leisure Magazine readers as the #1 Tour Operator in the World. After a delicious breakfast at the hotel, you’ll return to the Lima Airport for your 90-minute flight over the snow-capped Andes to the charismatic city of Cusco, which lies at the heart of the Inca Empire. One of our representatives will meet you at the airport to ensure your transition is as stress-free as possible, with your hotel boasting a prime location within the magnificent Sacred Valley. En route, we’ll stop in the colorful market town of Pisac where you can shop for tra-ditional Peruvian handicrafts and souvenirs, with the main square igniting each Sun-day when traders come from across the region to sell their goods. Then continue to the town of Urubamba (whose name translates as “flat land of spiders”) where we’ll stop for lunch and a lively Peruvian Paso horse show. It’s then on to the fascinating city of Ollantaytambo, which is unique in its Inca urban planning and immense stone structures. Wander amidst the temples, storehouses and agricultural terraces that exhibit ancient Incan craftsmanship, then settle into your hotel for the evening. Begin the day with a hearty breakfast at the hotel before being transferred to the start-ing point of your full day’s bike ride through the Sacred Valley. Slowly pedal through the picturesque countryside that surrounds the Huaypo Lagoon, then stop at the archaeological park of Moray where Inca-designed terraces sprawl across its plateau. Continue to the nearby village of Maras where you can stop to eat your boxed lunch before visiting the brilliant white Inca salt terraces that this region is renowned for. It’s then a relaxing downhill ride through the villages of Pichingoto and Tarabamba before returning to the hotel for dinner. This morning you’ll embark on a 90-minute train journey through spectacular scenery to the archaeological sites of Chachabamba and Wiñay Wayna. It’s around four hours of hiking before you’ll be rewarded with views of Wiñay Wayna whose magnificent Inca terraces cascade down a hillside. Continue to Inti Punku or “Gateway of the Sun” where you’ll have plenty of time to explore the ruins of this breathtaking Inca settlement before a shuttle bus transports you to the town of Aguas Calientes at the base of Machu Picchu where you’ll spend the night. Get ready to be blown away by what is Peru’s most famous site - the ancient Inca cit-adel of Machu Picchu. A 20-minute shuttle ride will transport you to this spectacular UNESCO World Heritage Site that was uncovered by Hiram Bingham in 1911 and boasts a breathtaking setting between two soaring mountains - Machu Picchu and Huayna Picchu. You’ll be led on a guided tour to discover its ancient ruins and learn about the unique Incan craftsmanship, with plenty of time to explore at your leisure. ROW guests are pampered in our first class train as we travel back to Ollantaytambo Station (about two hours) where we dine and overnight in Cusco. After breakfast at the hotel, spend the morning exploring the charismatic streets of Cusco where Spanish colonial monuments have been built atop ancient Inca founda-tions. Visit the magnificent Cusco Cathedral, which dominates the city’s lively main square, as well as the Church and Convent of Santo Domingo that was built on the site of the Koricancha temple where ancient Incas used to worship the sun. Then head to the outskirts of the city center to the spectacular ruins of Sacsayhuamán, which was originally built by the Killke culture around 1,100 AD. It was later expanded and added to by the Inca, with immense dry stone walls constructed without the use of mortar. After lunch at one of Cusco’s best restaurants, you’ll be transferred to the Cusco Airport for your flight to Puno. We have an early start today so guests don't miss a moment! We visit the floating island of Uros by motorboat. These islands were actually handmade using natural reed material by the local Uros people! (see what they look like in the slideshow above) The islands are still inhabited and maintained by these people today. After checking out the islands, we continue onto Llachon - Santa Maria and prepare for our kayak experience. After a safety briefing, guests are sure to be dazzled as they receive a unique (unbound!) opportunity to paddle alongside Amantani Island and take in the pristine beauty of Lake Titicaca. Amantani Island is a welcome paradise from the hustle and bustle of daily life. We enjoy a lunch typical of the region and later travel by hike to a temple on the far end of Amantani. Our guests witness a richly hued, stunning sunset; then have a scrumptious dinner and celebrate with new friends with our home stay family. Overnight on Amantani Island. Get ready for an action-packed day as we visit the floating islands of Uros that have been handmade using natural reeds. Meet the island inhabitants and learn about their unique lifestyle before continuing on to Llachon - Santa Maria where you’ll embark on a kayaking excursion. After a short safety briefing, slowly paddle along the shores of Amantani Island as you soak up the magnificent beauty of Lake Titicaca from the water. After working up a healthy appetite, we’ll have a traditional lunch on Amantani Is-land, then set off hiking to a temple at its far end. You’ll be treated to a stunning sun-set over the waters of Lake Titicaca as you settle into your homestay and dinner with a local family. This morning we’ll jump back in our kayaks and slowly paddle from Amantani Island to Taquile Island, with magnificent views of the snow-capped mountains surrounding the tranquil waters of Lake Titicaca. On the island of Taquile, we’ll visit a village where the indigenous people have retained their ancestral culture, with a traditional weaving demonstration given. This morning, before heading to the airport we will visit to Chulpass Sillustani, a pre-Incan cemetery that served as the burial grounds for the Collas and Incas. Once referred to as "houses of the soul", the extremely dry conditions often led to the bodies being mummified, although this was not the intention. After a flight to Lima Airport, guests are be met and assisted with international flight connections back home or on to other destinations with ROW like Ecuador or the Galapagos Islands. Hugs, kisses, phone numbers and emails are shared as guests part from new friends made and everlasting memories created. When should I go on a Peruvian tour? Are there any special events or festivals to look foward to? Altitude sickness is common in the highlands when visiting Machu Picchu, but can easily be treated by taking it slow and resting, staying hydrated, and there is medication available over the counter for pills altitude sickness. A yellow fever vaccination is recommended for areas east of the Andes Mountains, but not needed for Lima, Cusco, Machu Picchu, or other places along the coast or in the mountains. It's advisable to consult with Peru's official website before leaving for any questions. Electricity in Peru is 220 Volts and 60 Hertz (cycles per second). If you want to use a 110-volt appliance in Peru, you’ll need to buy a power adapter. Most outlets in Peru accept US standard two flat blade male.